I have an outdoor walkway that was freshly painted just before I bought my house two years ago. Two winters have worn down the paint and now it needs another coat or the exposed concrete will crumble. I have two goals with re-painting the walkway. To these ends, what type of paint should I use that is not slippery in cold, wet winter weather? For point 2, is it possible to mix in gritty sand without compromising the paint? Or should I paint the walkway with some 'concrete safe' paint, then add a non-slip layer on top? 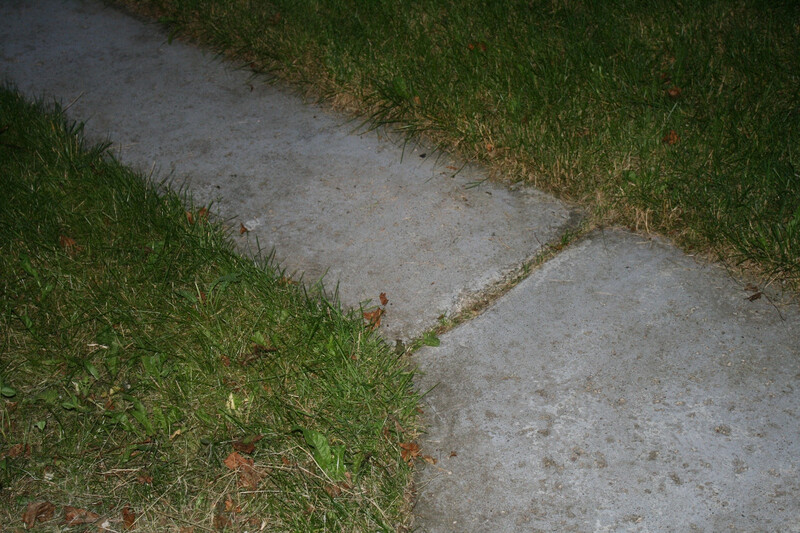 The walkway will need to be shoveled, will adding a layer of non-slip grit make the paint more prone to chipping? Paint on a concrete walkway will never last very long, and adding sand would definitely make it chip faster. The correct way to do it would be to stain it. I would use a good stain instead of what you get at the big box stores. Then seal it. Concrete sealer you can get anywhere. You can add some sharkgrip to it for the non-slip you are looking for. If you go to your local home center or paint supplier and ask for an exterior concrete floor paint they will have what you need. I wouldn't mix in the grit with the paint, rather I'd sprinkle it on top while the paint is still wet. This is similar to what's done with epoxy coatings. Not the answer you're looking for? Browse other questions tagged painting concrete paint outdoor or ask your own question. Can I keep unused paint in the roller tray? Is floor paint on concrete purely aesthetic or actually functional? How can I prepare this concrete floor for tile? Can I add cement glue and sand into my concrete mix to repair my cenent garden statue? Can I use cement instead of paint for interior walls? How to fake this concrete effect with paint? Should I apply a second coat of primer when I have a high contrast in colors and the new paint is thin?